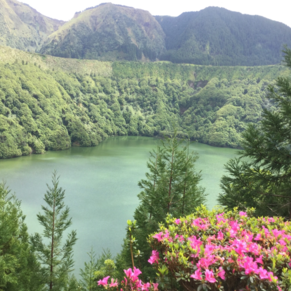 Excursion with Azores Tours. Beautiful island. Great views. Foggy in some areas. It was a cloudy, rainy day but still saw some beautiful scenery. A little shopping in town. It was a Sunday but stores and restaurants were open. Short walk to ship. I LIKE THIS PORT VERY MUCH BUT WE DID NOT GET TO VIISIT AS MUCH OF THE ISLAND AS WE WANTED. Took the tour to the Crater Lakes. Scenery was awesome - so green in November in the North Atlantic. The crater lakes were amazing in their color. Countryside was beautiful. Don't miss hibiscus growing wild along side of the road. 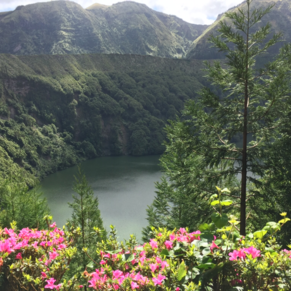 Do the excursion to Furnas where you can swim in the hot springs pool! We shared a taxi with another couple and travelled all over the east side of the island (we had been here before so didn't go to the crater lakes). Beautiful island, highly recommend touring here. 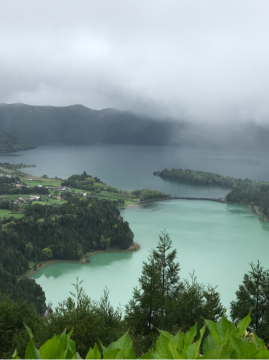 3 of 24 shore excursions in Ponta Delgada, Azores. 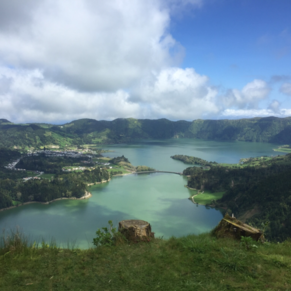 There are currently 0 discussions about Ponta Delgada, Azores.